The house is built in the traditional style as it once was. Coated walls with stones from Kornati island to better fits the surrounding landscape of the bay and Kornati. At the beginning it was a fishing house like all others at Kornati, but with tourism development its function was modified into a gastro tourist house. The restaurant is owned by Mr. Mladen Ježina from Murter. Family Ježina as the owner started doing business back in 1994. Capacity of the restaurant is growing continuously so today Konoba Levrnaka has 100 seats and the two floating pontoons which can accommodate 20 ships with the electricity connection. 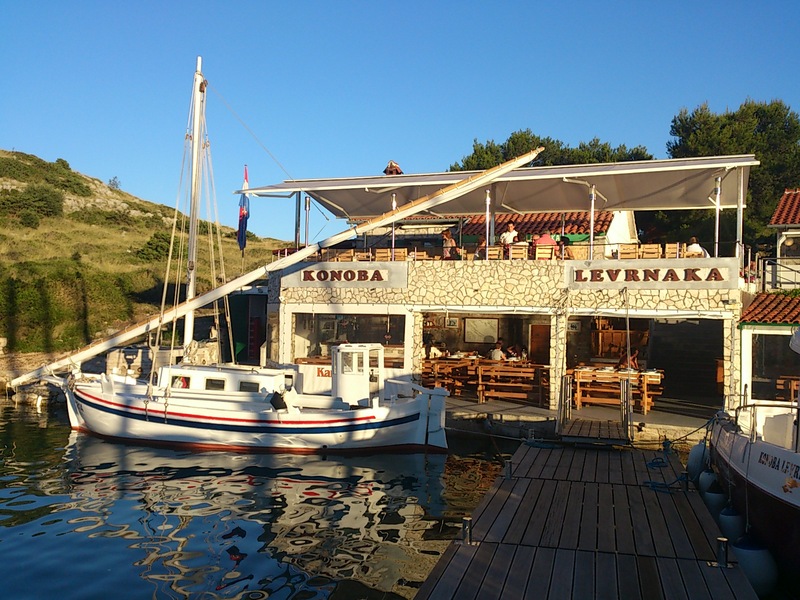 Since the restaurant Konoba Levrnaka is in the heart of the Kornati National Park it offers fish and seafood delicacies and Kornati lamb prepared on traditional way. Konoba Levrnaka opens its doors from 01.04 until 31.10. Therefore, we invite you to visit us and see for yourself in our culinary skills.